On the face of it, digital advertising viewability (the metric aimed at tracking only impressions that can actually be seen by users) doesn't seem complicated. And naturally, advertisers want their ads to be seen by real live consumers. 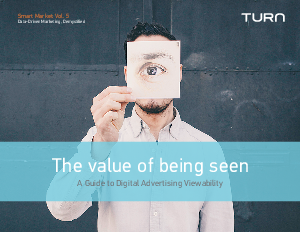 Read this eBook to find out how you can effectively build viewability into a digital campaign strategy.